I can’t decide if the word ‘appropriate’ is a must or a mere suggestion when it comes to certain situations.It’s appropriate to buy fruits and vegetables, but what about Fritos or condoms or other random lubricating things? Are those items ‘appropriate’ to put in your grocery cart? They wouldn’t have a section at the store if wasn’t ‘appropriate’, right? I’m open for discussion. However, let me ask you another series of important questions: is it appropriate for a 32 year-old to attempt a side braid? To shop at Forever 21? To buy a jean vest? To wear overalls? I am at a huge crossroads in my life right now. Or at least that’s how it feels in my head. I’m not young, young as in I can’t get away with wearing whatever I want like Miley Cyrus style, but I’m not a senior citizen either. You can see the dilemma. Should I just go with my gut when it comes to ‘appropriate’ clothing decisions or is there a list floating out there of what to wear/not wear that I don’t about? You would tell me rightttttttttt? Well, now that I have word vomited for 57 minutes, I am starving! Let’s make a salad. Put the stink-eye away for a second and let me show you that this salad will make rabbit food look like human food. Does that even make sense? This salad isn’t even a salad-salad because it comes sans lettuce. 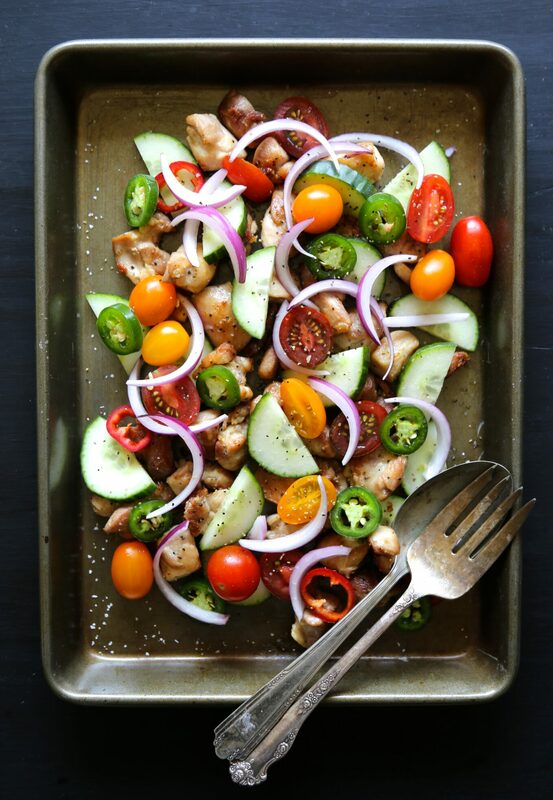 Crispy chicken, cucumbers (which are in season), tomatoes, jalapenos for a an extra kick, and the dreamiest vinaigrette this side of the Mississippi. 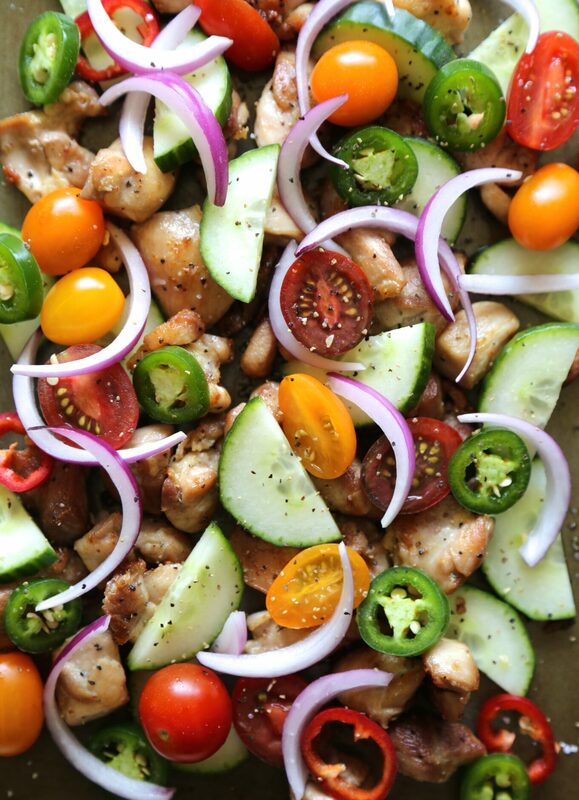 The only thing missing from this salad is a jean vest and a Miley Cyrus twerk. My friend, Becky, author of The Vintage Mixer, is showing us that eating seasonally can be fun! 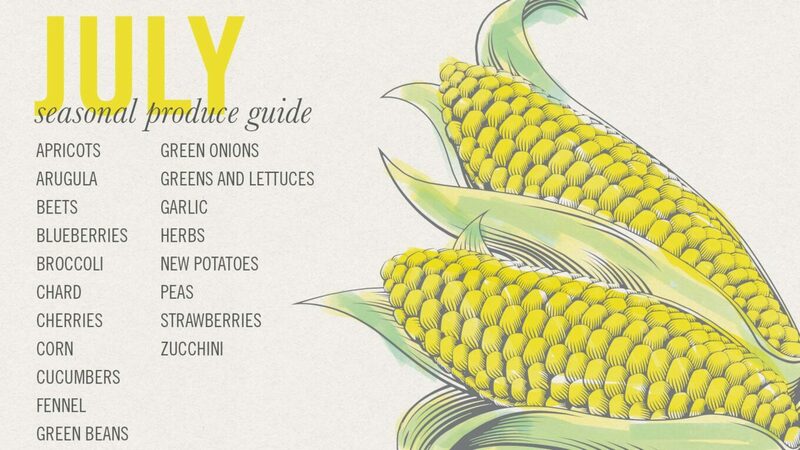 Each month she provides a Seasonal Produce Guide, which you can save on your iPhone or desktop so you can get in the seasonal eating spirit. In a large skillet, add 1/4 cup olive oil. Heat to medium-high heat and add the cubed chicken. Salt and pepper the chicken. Cook the chicken until brown and cooked through about 7 to 9 minutes. Remove skillet from heat and set aside to cool. 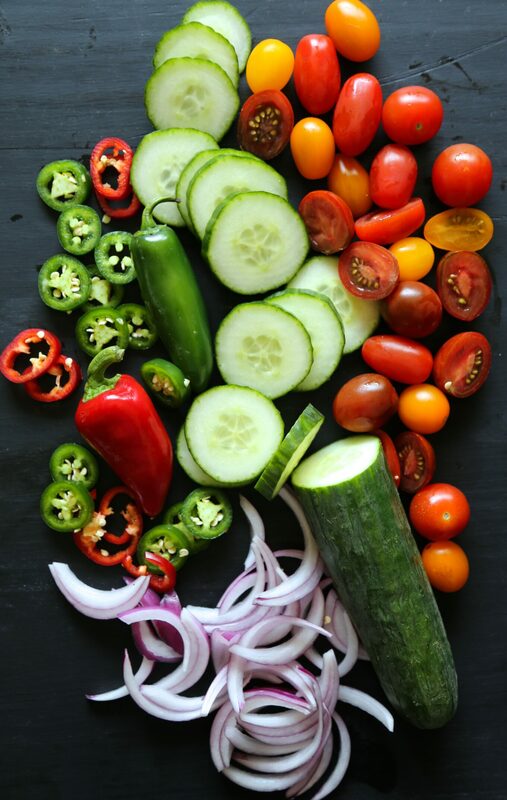 Meanwhile, add cucumber, tomatoes, red onion, Serrano chile and jalapeno to a large bowl. 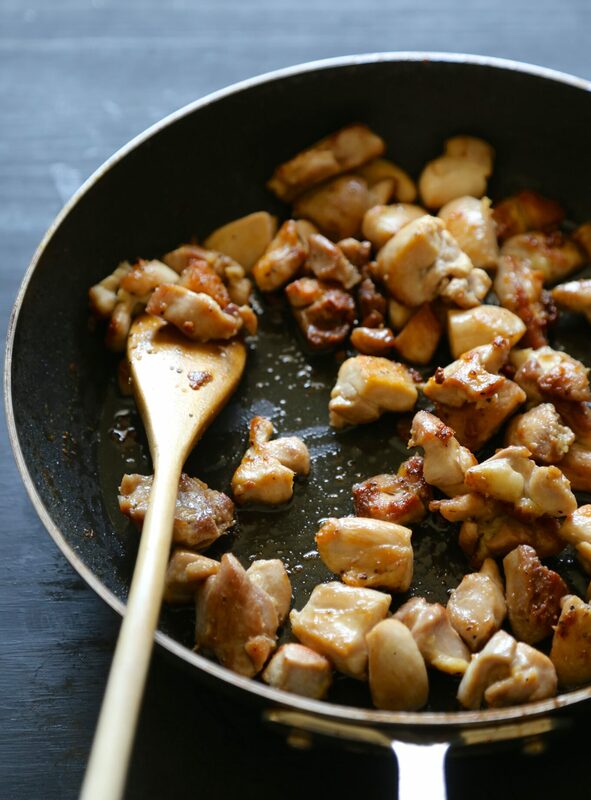 Add the cooled chicken to the bowl and toss with the Dijon vinaigrette. Enjoy! Combine all ingredients into a bowl. Whisk until thickened.